Established in 1972 AC Mechanical Services Ltd has emerged as one of the leading air conditioning and mechanical services specialists in the UK. We have extensive experience in the design and installation of mechanical services to the commercial, education, retail, manufacturing, hotel & leisure, healthcare and financial sectors. With over 40 years experience in the industry we have developed an extensive client base ranging from local businesses to large national organisations where we have built an excellent reputation for design and quality. Throughout the years we have worked with the leading manufacturers and suppliers to provide our clients with cutting edge technology and an unrivalled individually tailored service. We offer an expert service and pride ourselves on being flexible and able to adapt to our client requirements – as shown in our many case studies across multiple sectors. We strive to remain at the forefront of the industry in terms of changes in legislation and new technology, working with leading manufacturers who are at the cutting edge of technology. We are a company with national capability but also consider ourselves a local specialist. With Offices in Gloucestershire and Hampshire, our position is ideal for delivery of services throughout the UK, but particularly the Midlands, South West and South East of the country. We are not limited geographically and have carried out projects in the Isle of Man, the Channel Islands and Gibraltar. Formed in 1972, over 40 years ago, the company has evolved over the many years. Whilst the company originally specialised in air conditioning, we recognised the benefit to the client of offering a wider ranging service and therefore developed the mechanical side of the business becoming a full mechanical services company – our company name , originally AC Air Conditioning Ltd, subsequently became AC Mechanical Services Ltd. Initially the financial sector was the core of our business but over its long history the company has adapted to changing markets and now prides itself on serving a wide range of sectors where we have built relationships with many high profile clients. In 2007 the company was purchased by David Aquilina, Jane Fisher and Neill Hanley, and our Wotton Under Edge office in Gloucestershire established as our Head Office. In 2012/3 Steve Walker and Graham Hoskins , having worked in the company for 33 years in total and with over 50 years experience in the industry, became directors with the future of the company in mind and the intention of strenghtening the continued growth and success of the business. By building on our reputation for achieving the highest standards in all we do, our mission is to continue to meet and exceed our client’s expectations. Our aim is to deliver all projects on time, within budget and with a minimum of disruption to our clients and end users. We will continue to work with leading manufacturers to provide innovative value engineered solutions which address environmental, energy consumption and sustainability concerns. The directors are supported by our experienced and qualified teams across our offices including, sales, estimation, design, project management engineers and our in-house Health & Safety Advisor. David has been in the industry for over 40 years and with ACMS for over 25 years, 15 of which have been at Director level. In 2007 David became owner and Managing Director of the company and has been intrinsic to its success. Steve has been in the industry for over 27 years and with ACMS for 23 of those years. Steve became Contracts Director in 2012 where his knowledge and great experience in the industry make him ideally suited to his position. 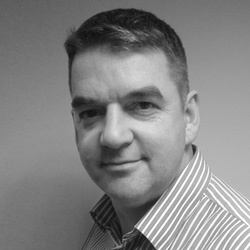 Managing the project delivery team, Steve ensures continued high performance in the realisation of projects. 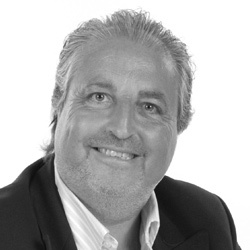 Graham has been in the industry for over 25 years and with ACMS for 12 years, becoming Commercial Director in 2013. 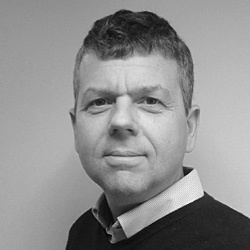 Running the sales, design and estimating aspects of the business, Graham’s extensive knowledge and experience make him ideally suited to this role where he ensures high levels of performance in these areas. 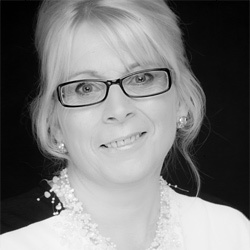 Jane has been with ACMS for 30 years, joining the company in 1986. Becoming a Director in 2000 Jane then became owner of the company in 2007, and with David has been a significant part of its success over the years.